The silver KIWIFOTOS LA-49X100 lens adapter ring for Fujifilm Finepix X100/X100s digital camera is made of aluminum. The adapter ring replaces standard lens ring that comes with the camera and bayonet mounts with the lens hood. 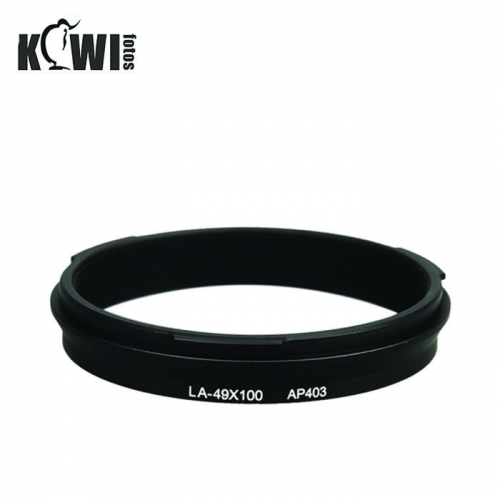 In addition to bayoneting with the hood, it can also be used for mounting 49mm filters.KIWIFOTOS LA-49X100 lens adapter replaces Fujifilm AR-X100 adapter ring.